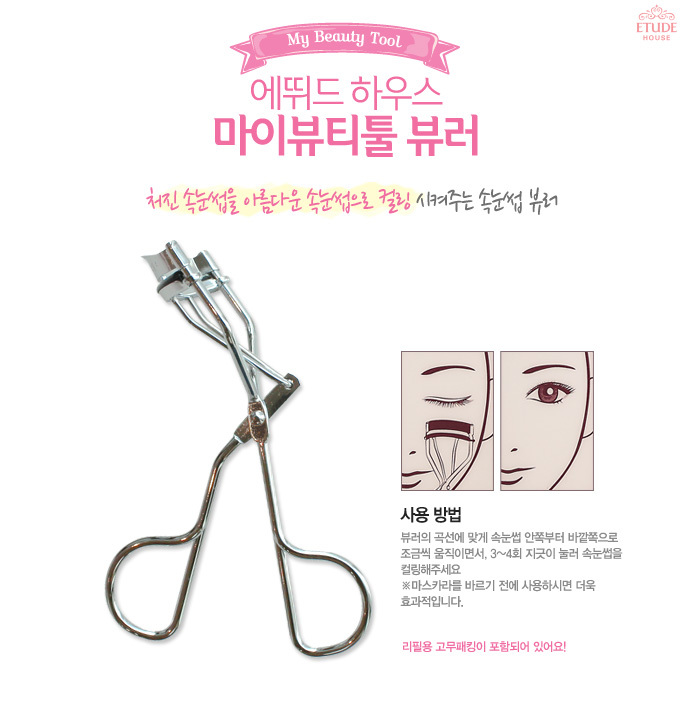 This Eyelash Curler creates a great lift and curl with its perfect size and shape. Open the Eyelash Curler and place your upper lashes inside its mouth. Move the curler closer to the eye until the tool comes to the base of the lashes, but not over the skin of the eyelid. Keep your eye open and slowly close the curler. Hold the closed curler for a few seconds.